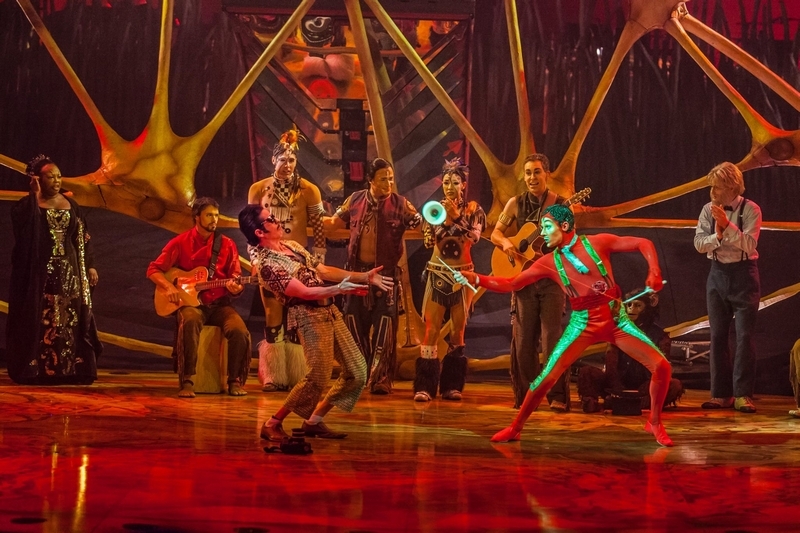 The Tracker appears as a virile toreador spinning his Diabolo to a sizzling flamenco-inspired beat. 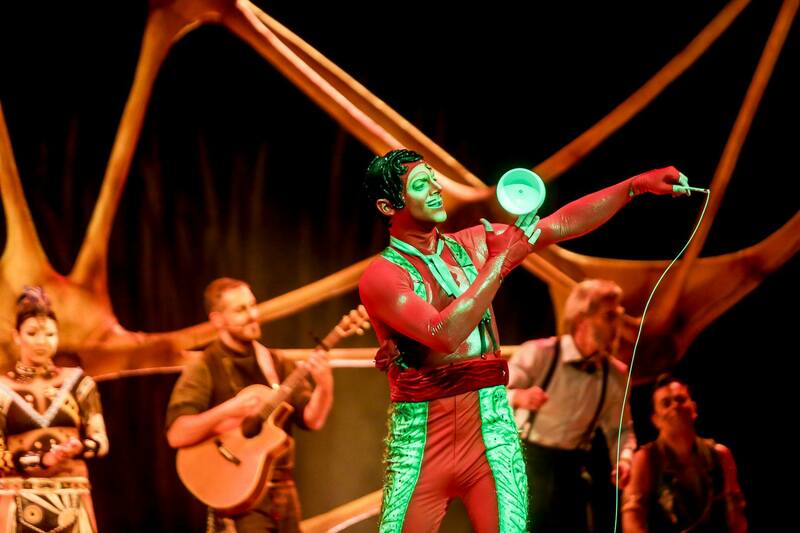 The Tracker, an environmentally conscious friend of the animals, appears now as a virile toreador spinning his Diabolo to a sizzling flamenco-inspired beat. Although he's normally seen guiding "The Scientist" in his explorations of discovery, he becomes angered by the thoughtless, polluting actions of a clown and transforms before our eyes to enact a certain instinctive punishment, nature style.